Everybody wants to enjoy a glass of wine (or two) after a full day of learning. Which is why all eHealth Tallinn delegates are welcome to join the Opening Reception at 5.45pm on Tuesday 17 October. Come down to the Exhibition Hall, where we will be serving drinks and small snacks. Join us at the Harbour on the first night of the conference for a fabulous sit-down meal. 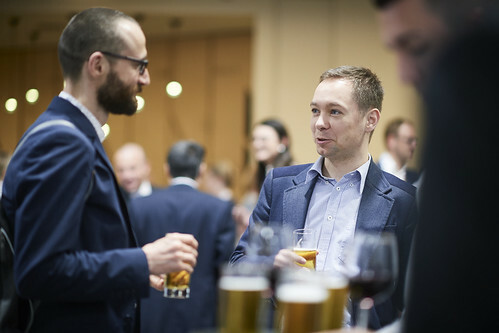 Take this opportunity to connect with other delegates in a relaxed environment over a glass of wine. Whether you want to catch up with familiar faces or make new connections, the eHealth Tallinn Dinner will be the place for it! This VIP Reception is organised by the US Embassy and HIMSS Europe and attendance is by invitation only. This exclusive reception will gather healthcare IT leaders and high level professionals in a relaxing atmosphere.